January 8, 2015 – Georgetown, Mass. - UFP Technologies, a producer of innovative custom-engineered packaging, products, and components for medical devices, orthopedic implants, wound care applications, and more , will be exhibiting at MD&M West 2015 from Feb. 10-12, 2015 in Anaheim, Calif. We will be located at booth #2331. MD&M West is one of the largest trade events for the medical manufacturing industry and provides industry leaders the opportunity to demonstrate their products and services to thousands of qualified medical OEMs. For over 30 years, UFP Technologies has been servicing the medical device industry by designing and fabricating custom components, packaging and products. 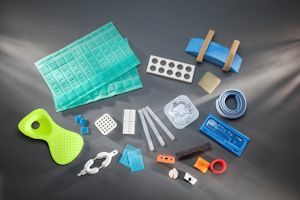 Having developed close relationships with top suppliers around the world, UFP Technologies has access to a variety of medical-grade materials including reticulated foams, hydrophilic foams, thermoplastic urethane films, adhesives and more. In addition, UFP Technologies offers clean room manufacturing in ISO 13485:2003 certified facilities across the country. Our fabrication capabilities include compression molding, thermoforming, RF welding, rotary die cutting and more.